This online pokie from Microgamiing takes players back to the golden age of Vegas, when stars like Frank Sinatra, Sammy Davies Jr and Dean Martin drew in the crowds and got up to various antics with booze, women and song. The origin of the phrase Rat Pack isn’t clear, but it’s inspired a fun game that’s populated by crooning rats across 5 reels and 30 paylines. Complete with a wild that multiplies any wins it creates, an exciting free spins round, scatter payouts and a gamble game, The Rat Pack are some high-earnin’ vermin. This game is all about the glitz and glamour of a stage show being played in a sewer, with the lights and pipes making up a backdrop to the reels. It’s set out in a slightly unusual way, with 4 rows of symbols rather than the 3 which is far more common, but other than this, it looks like a pretty conventional 5 reeler that sees a game title in lights above the reels, payline indicators to either side and a set of control buttons underneath. These buttons are used to adjust the amount staked per spin, with the minimum being just 0.30 and the maximum 300.00. There’s no option to activate just a single line, so those who want to place micro-bets just to see what happens will be out of luck here. 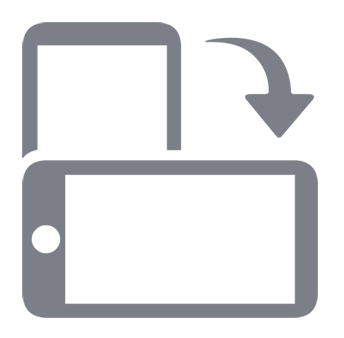 The popular playing card icons, 10, J, Q, K and A make up the lower end of the payscale, each of them decorated with a gold-coloured musical instrument such as a saxophone, guitar or violin. Winning lines come from landing the same type of symbol across the reels, on a payline running from left to right. A collection of rats will be worth more, with the piano player paying out 10x, 30x or 300x the line bet when he lands in 3, 4 or 5 spots on a line, while we also have some beautiful back-up singers and various rats who look something like rodent versions of the Rat Pack rewarding players with between 20x and 1000x their line bet when they land in the right places. Two wild symbols will help to make up extra winning lines when they substitute for others. The Rat Pack logo will also be worth some big prizes when it stops across a line on its own, while a ‘2x’ symbol isn’t worth anything alone, but will double the value of any line that it completes. A gold record is the scatter symbol and it can land anywhere across the reels to pay out wins which are multiples of the total bet, not just stake per line. Players only need to land 2 records to score a hit, with 2x paid back to them, while 3, 4 or 5 scatters are worth 4x, 10x or 100x. Any 3 or more will then start a free spins game. This is no ordinary round however, as to start with, there’s no fixed number of spins and the gold disc has some special properties throughout them. Any reel with a disc symbol on it will stay lockedin place while the others spin. On the next spin, those scatter symbols will nudge down one row and the process repeats itself, paying out scatter wins along with regular payline wins, over and over, until no scatters are left on the reels and the round ends. Because there’s 4 rows, rather than 3, this can result in players getting lots of spins. It’s an innovative twist that’s sure to become popular across more Microgaming pokies and is a real highlight of The Rat Pack. Another feature that’s already popular across many games is the optional Gamble round that players can enter after any winning spin, other than jackpots. The aim of the game is to correctly guess if a playing card will be revealed as red or black, in which case the triggering prize is doubled, or the right suit, to multiply it by 4x. Getting it right means the new win can be gambled again, but a wrong pick along the way loses the gamble payouts as well as the original win. A Singing Sensation, Or Call The Exterminators? 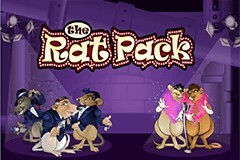 The Rat Pack is a fun, cartoon style pokie that follows an equally fun theme and has an interesting bonus round to enjoy. Even players who don’t know much about the antics of the original Rat Pack will find much to like about this game, with lots of winning opportunities created by the extra row of symbols. But it’s the free spins game with the chance for multiple scatter wins that really stands out and makes The Rat Pack a top quality pokie.